Is Virat Kohli listening? Former England star makes huge prediction ahead of World Cup, changes coming up? 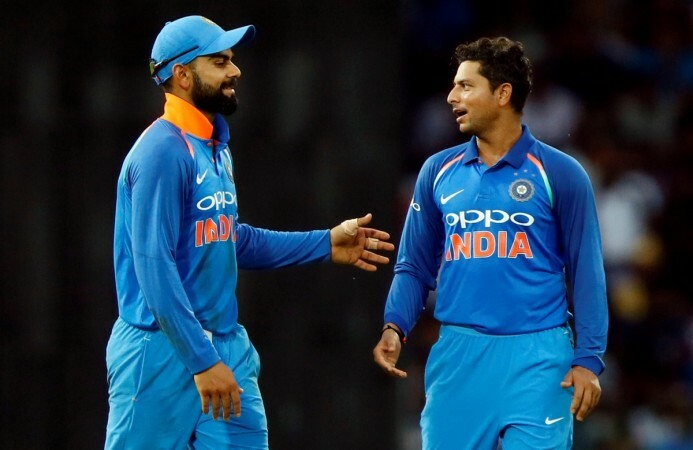 If we look at the Indian squad, Kuldeep Yadav and Yuzvendra Chahal should start in almost all the matches and in Ravindra Jadeja, Kohli has a solid all-round option in his arsenal. Former England captain Michael Vaughan, who has followed Indian cricket over the last couple of years, believes that the conditions in England could suit sides with good spinners and smart seam bowlers. He, in many ways, has hence picked the Indian team as one of the favourites for the World Cup, as the squad picked up by the Indian selectors consists of three specialist seamers and three spinners. Vaughan wrote on Twitter, "The last 2 champions trophy's in England have been Won by India & Pakistan ... !!!!! All this talk of English conditions in ICC run events is nonsense ...... The pitches will be dry and Spin will play a huge part." If we look at the Indian squad, Kuldeep Yadav and Yuzvendra Chahal should start in almost all the matches and in Ravindra Jadeja, Kohli has a solid all-round option in his arsenal. Also, the part-time option of Kedar Jadhav can come in handy when the skipper wants to control the game and run through a few quick overs in the middle phase. Vaughan, who has been a vocal advocate of Rishabh Pant, minced no words in criticising the Indian selectors for now picking up the young man. In a couple of Tweets, the Ashes-winning skipper vented out his option. "Only 1 left hander in the Indian Top 7 for the WC .... Another reason why @RishabPant777 should have been included .... !!! #OnOn," he said. Also, immediately after the squad announcement, Vaughan took to Twitter and labelled India for being bonkers for not picking up Rishabh Pant in the World Cup squad. The decision to leave out Pant from the Indian squad has already drawn a number of polarizing opinions, but chief selector MSK Prasad reasoned that they preferred Karthik over the young wicket-keeper, primarily based on the keeping skills. 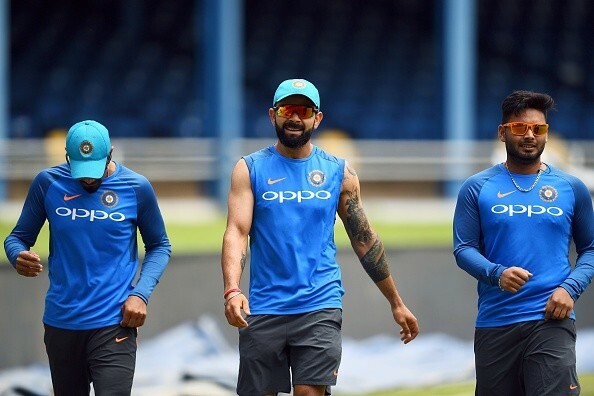 Ravindra Jadeja, Virat Kohli and Rishabh Pant.JEWEL SAMAD/AFP/Getty Images. "The situation that was discussed among the selection committee, one of them will play in the XI provided MS is injured," Prasad in the press conference after the squad was announced. "So under such situations, in crunch matches, who is the best guy who can handle the pressure? That is the reason that went in favour of Dinesh Karthik. Pant is full of talent. There's a lot of time for him. It's just unfortunate that he's missed out. Under pressure, we have seen Dinesh Karthik finishing matches. That scored for him."